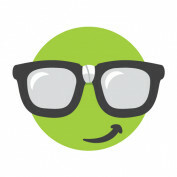 GeekLift is all about boosting your inner-geek and solving the everyday tech problems that drive you crazy. Technology how-to's, reviews and news are the focus. We hope to help you avoid technology headaches and learn something about tech each and every day. If you're like us and spend hours on your Mac everyday, you can streamline your work and become extremely efficient with these top keyboard shortcuts for OSX.